The Grandeur has been around for 30 years in Korea, and is now heading into its 6th generation. Hyundai recently launched the newest version in the domestic market. 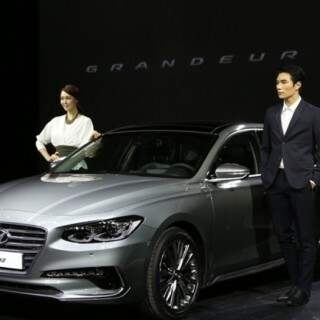 Hyundai Grandeur was first introduced in 1986, and has since served as the vehicle that shows off the latest technology and innovations from the Koreans. This will once again be the case for the latest generation, as it will be taking the luxury midsize sedan to previously unseen levels. That includes the promise of a better driving performance, as well as upgrades to comfort and safety. The great news for Hyundai is that they have hit some amazing pre-order number since opening it up on November 2. The first day alone saw 15,793 units ordered, and that number has since risen to over 27,000. The mark set on opening day is a record for any vehicle launched in Korea up until now. Make no mistake about it, the Grandeur has received a full makeover inside and out. 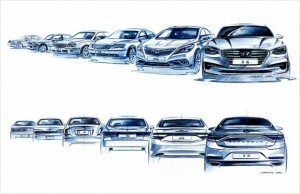 Hyundai say that they have used simple and modern shapes to help the Grandeur maintain its luxurious image. 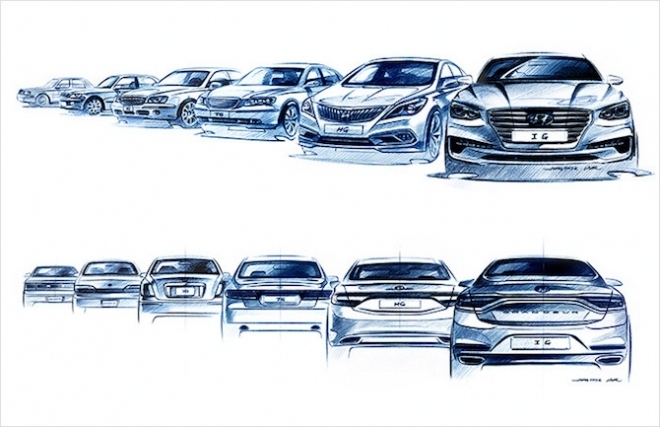 This new sense of style will pave the way forward for the next wave of Hyundai vehicles. A set of active driver safety technologies known as Hyundai Smart Sense are included with the Grandeur. The systems in place cover all the bases, from driver alertness to passenger and pedestrian safety. Included in the package are Automatic Emergency Braking (AEB) with Pedestrian Detection, Advanced Smart Cruise Control (ADCC), Active Blind Spot Detection (ABSD) and Lane Keep Assist (LKA). The AEB system makes use of sensor fusion technology to reduce avoid potential collisions. Automatic braking is employed when the vehicle senses that a collision is imminent. This will be the first Hyundai vehicle to have the system, but expect more to follow. This sedan falls on the large side of the scale. It is 4,930 mm long, 1,865 mm wide, and 1,470 mm high. That makes it 10 mm longer and 5 mm wider than the previous generation. The wheelbase comes in at 2,845 mm. The Korean spec Grandeur will come with four powertrain options, including the 3.0-liter V6 GDi and 2.4-liter 4-cylinder GDi petrol variants, as well as a 2.4-liter 4-cylinder diesel. Fleet models will come with a 3.0-liter liquefied petroleum gas engine. The top of the range Grandeur engines in gas and diesel models will be mated to a new 8-speed automatic transmissions. The remaining models will be mated to a 6-speed automatic. Prices for the base Grandeur model start at 30.55 million won ($25,988.94), while the 3.0L GDI unit starts at 35.50 million won. The new Grandeur diesel model comes in at 33.55 million won, and the fleet LPi model starts at 26.2 million won.